The entire Roofs For Troops claim process is online at www.gaf.com/military. Just click on “submit the rebate form” and the process begins. GAF and Advanced Exteriors are partnering with Habitat for Humanity to provide roofing materials and professional installation for a local Habitat house. The installation and materials donations are part of a national partnership between GAF and Habitat for Humanity, to match roofing materials donations from GAF with installation services donated by GAF Master Elite® and Certified ™ Contractors in communities across the United States. Advanced Exteriors, Inc. is now the official Front Range contractor in partnership with No Roof Left Behind, a nationwide program that ‘provides a local contractor the framework to provide a new roof at no cost to a deserving homeowner in need.’ See the videos of our past winners below. For more information on the program and other details please see below. At Advanced Exteriors we are passionate about our relationships in the community as well as with our vendors. To learn more please click the links below. To schedule a free inspection please click here or contact us at 303-756-7663. 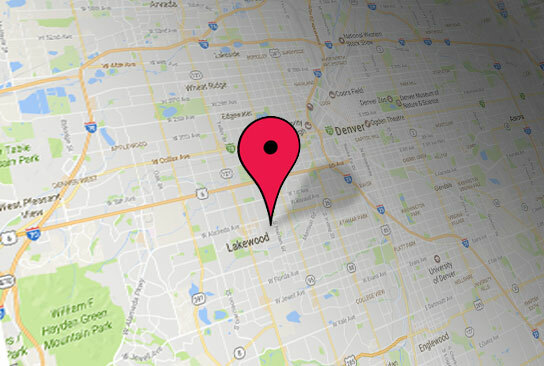 See the locations we have serviced in your area by clicking the View Map button below and viewing the Northern and Southern Denver Metro & Front Range Maps. 2200 S. Valley Hwy. Denver, CO 80222.